WHY DOES EVERY LLC NEEDS AN OPERATING AGREEMENT? The Operating Agreement for a LLC is the essential document that is referred to when issues and lawsuits concerning the LLC need to be resolved. The Operating Agreement is by far the most important and essential document for your LLC, and when you form an LLC, you should immediately look into getting one drafted or created by a qualified attorney. In the LLC Agreement document, the members will be provided with a clear set of rules that all members have agreed upon, greatly reducing the likelihood of disagreement between members in the future. It is very important that you create an Operating Agreement for your LLC entity, because without the formality of an agreement, the basic operation of the LLC would be governed by state law, which may not be advantageous to the LLC, it members, or the business it conducts. Each state LLC statute contains basic operating rules for LLCs, including Oklahoma, and those statutes will govern your business unless your Operating Agreement states otherwise (these are called “default rules.”). An Operating Agreement is personalized to your business and members’ needs, wants, and desires. The Oklahoma statutes were drafted by legislatures, and the best way to avoid having your business run in a way that you do not agree with is to have an Operating Agreement. Oklahoma LLC statutes, for example, have default rules that govern how certain business decisions should be made, such as how the LLC will be managed, rules for holding meetings and taking votes, rules for the sale of the LLC, how profits and losses should be allocated, amending the Operating Agreement, admitting a new member, and dissolving the LLC. Do you want these types of decisions to be decided by Oklahoma legislatures? Defaulting to the Oklahoma state law for important LLC decisions could jeopardize your business as well as make things more complicated for you and you business partners, since you will have to look up Oklahoma statues every time you want to do something inside your business structure or management. If you don’t want the state to tell you how to run your LLC, it’s important that you have a well drafted LLC Operating Agreement that is personalized to fit your needs. By having an Operating Agreement in place, you can decide the rules that will govern your LLC’s inner workings, rather than having to follow state default rules that may or may not be right for your LLC. One more short note is that an Operating Agreement is a private document, which the state nor county does not need to have on file. It is held within your business documents, and only is seen by other parties if there is a lawsuit. Even though the LLC Operating Agreement is not required to be filed with the state of Oklahoma, it is unwise to operate an LLC without an LLC Operating Agreement, even if you’re the sole owner of your LLC. It is extremely important that you create an Operating Agreement to separate yourself as an individual from your LLC, even if you are the sole owner of your LLC. Without the formality of an Operating Agreement, the LLC can closely resemble a sole proprietorship, which does not limit your personal liability for business debts of the LLC. Without an LLC Operating Agreement, the basic operation of the LLC would then be governed by state law, which may not be advantageous to the LLC, it members, or the business it conducts. 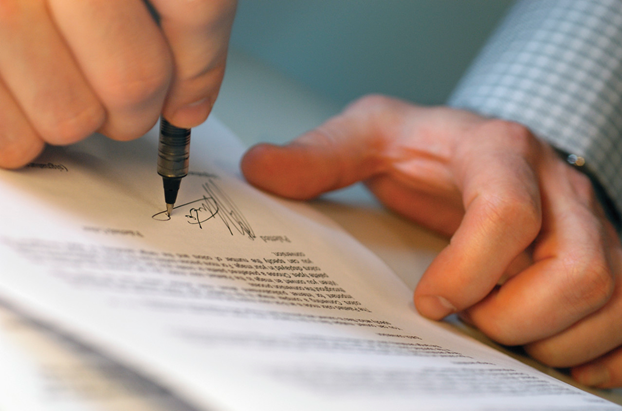 The attorney of the Skillern Law Firm, PLLC can draft personalized Operating Agreements for your business needs! Call our office at to speak to our attorney today! By skillernlaw in Business, Oklahoma on June 27, 2013 .